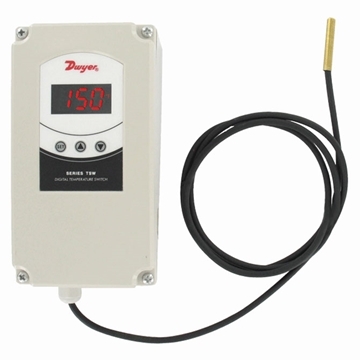 Timers and thermostats to control feed, ventilation equipment, fans, water pumps and other equipment commonly used in hog and poultry houses. 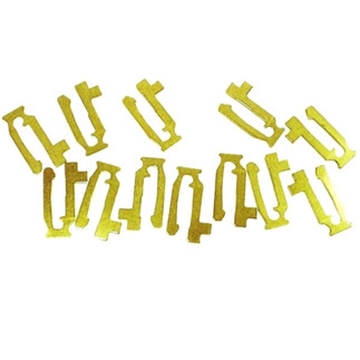 12 pack of replacement tripper pins for Intermatic® T1900, T2000, C8800, R8800 and T8800 Series timer switches. 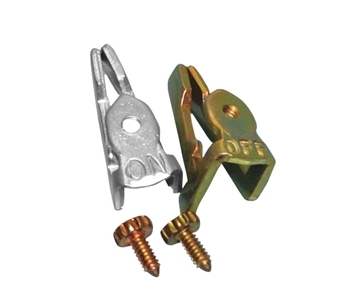 Replacement tripper pins for Intermatic "T" Series timer switches. 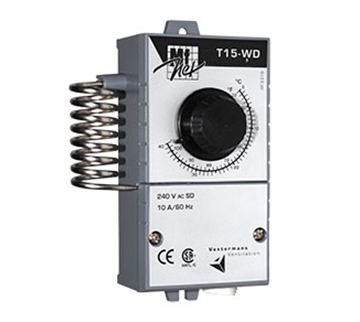 The TSW series electronic thermostat combines the trusted, reliable TS family of temperature controls and an installation friendly weatherproof NEMA 4X enclosure. 20A contact rating. High and low voltage models available. 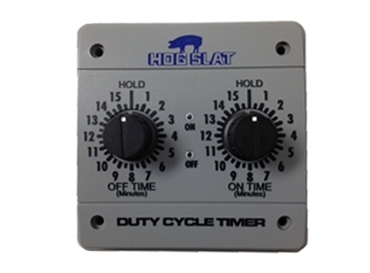 Hog Slat® 30 minute adjustable duty cycle timer features two buttons to adjust on and off time individually. 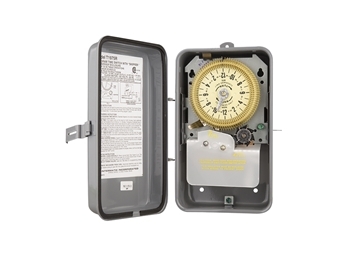 NEMA 4X enclosure single stage thermostat for heating and cooling control applications. 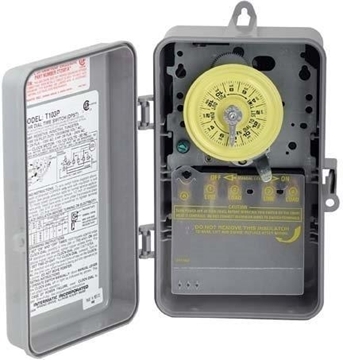 Pre-wired NEMA 4X enclosure single stage thermostat for heaters. 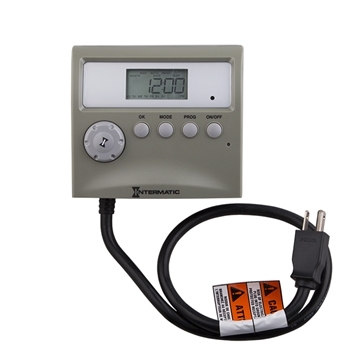 Our best selling electromechanical thermostat designed for heating, cooling and ventilation applications. Honeywell electronic remote temperature controller with digital output. Comes with 2 sensors. Intermatic® digital wall timer, suitable for a variety of applications. 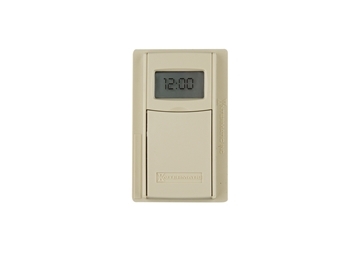 Intermatic® 24 HR digital waterproof timer switch. Up to 14 programmable events (28 on/off). 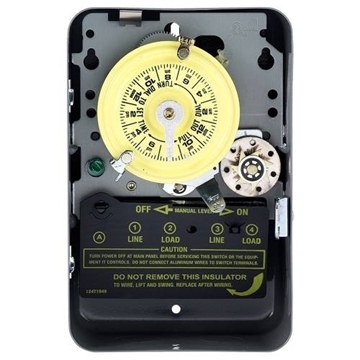 Our most popular weather tight thermostat with 20' pre-wired piggy back cord. 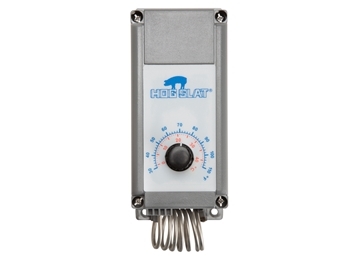 Improves performance of heaters by moving the thermostat away from the heater housings. 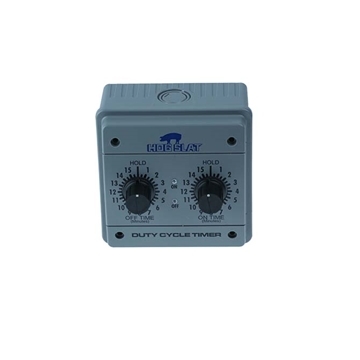 Intermatic® short cycle 1 hour timer switch. Tripper activates 30 second cycles. 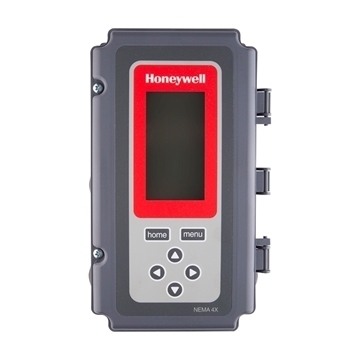 Accurate electronic control of up to four heating or ventilation devices. Comes with 5' temperature sensor. 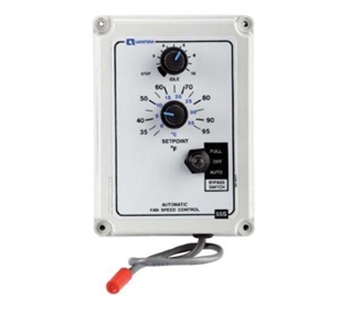 Automatically modulates the speed of ventilation fans. 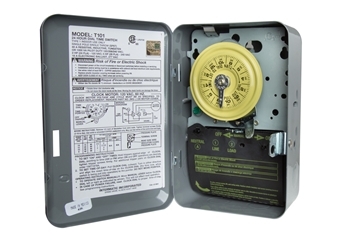 Replacement for Hired Hand® and Chore-Tronics® controls. 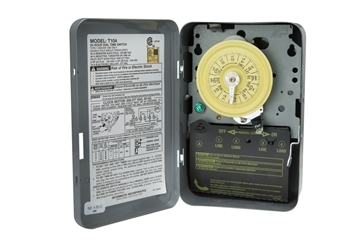 Multifan® single stage electromechanical thermostat in weatherproof enclosure. 24 hour mechanical time switch provides up to 96 operations (48 On/48 Off) every 24 hours using 15 minute incremental time intervals. Skip-A-Day feature allows timer to function only on specific days, as needed. 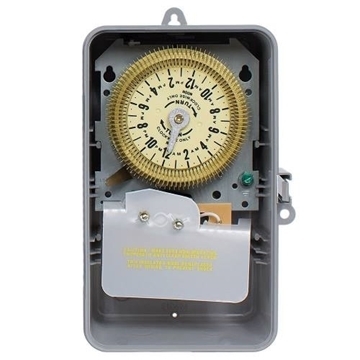 Intermatic® 24 hour timer switch controls up to 10 on/off functions per day. Skip-A-Day feature allows the timer to skip days that it doesn't need to run. 120v 40AMP. 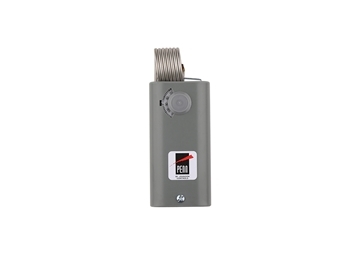 High load rating of up to 40 amps. 24 hour mechanical time switch provides up to 96 operations (48 On/48 Off) every 24 hours using 15 minute incremental time intervals. 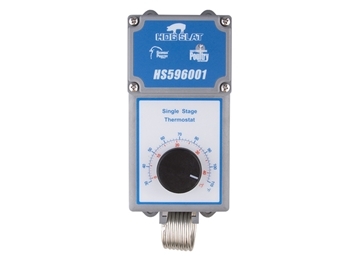 Standard single stage electromechanical thermostat with metal housing. Accurate single stage electronic temperature control in a NEMA 4X housing.